Ninety seven golfers participated in a stableford golf event at Vatuwaqa on Saturday. Feizal Haniff, 42 points won the A grade, while Marika Vada, 41 points and Bhaskaran Nair, 40 points won the second and third prizes, respectively in the grade. 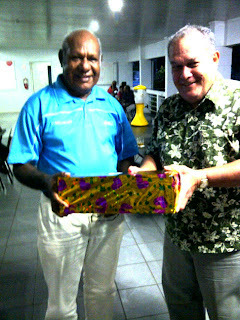 Kevin Maitava, 42 points won the B grade. C. Bowden, 41 points won the second place on countback from Vijay Madhavan, who won the third prize in the grade. 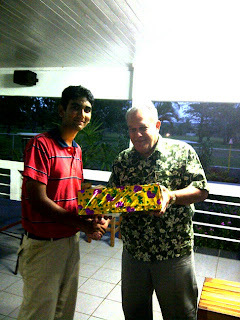 The C grade was won by a young promising golfer, Vijeshwar Datt, 44 points, who has been playing consistently in recent weeks. 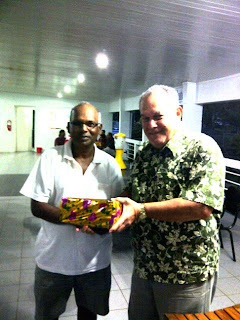 A former Governor of Reserve Bank of Fiji, Savenaca Narube, 43 points collected the second prize while Naveen Chand, 42 points collected the third prize on countback. Arvind Lal, played one under, 71 to win the best overall gross prize in the tournament. Dr. Sereima Bale, 33 points, won the Ladies Silver division, while Rachael Managreve, 41 points won the Bronze division on countback. Two nearest-to-pin (NTP) prizes on offer were won by Sanjay Singh for second hole and Richard Kwon on the sixteenth hole.